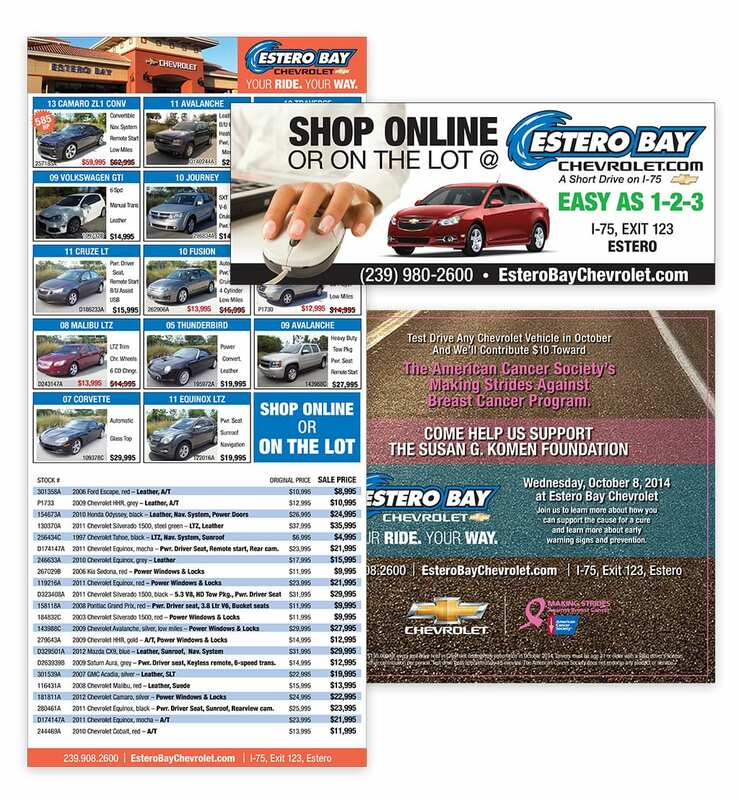 At Estero Bay Chevrolet car dealership in Estero, Fla., buyers get their ride, their way including choices from Southwest Florida’s largest inventory of the iconic Corvettes. Over a 24-month period, the Agency designed and created TV scripts and spots, radio scripting, print ads, inserts, logo and tagline. We also coordinated and managed a third-party vendor to develop a catchy jingle.